News Flash: Anurag Kashyap's Gangs of Wasseypur received an unprecedented standing ovation at a packed 1200 seat auditorium at the Cannes Director's Fortnight Screening on Thursday. Skirball Center for the Arts, 566 La Guardia Place @ Washington Square South, NYC. Gangs of Wasseypur is being screened at the prestigious Festival de Cannes 2012, as a part of the Director's Fortnight section. Towards the end of colonial India, Shahid Khan loots the British trains, impersonating the legendary Sultana Daku. Now outcast, Shahid becomes a worker at Ramadhir Singh's colliery, only to spur a revenge battle that passes on to generations. At the turn of the decade, Shahid's son, the philandering Sardar Khan vows to get his father's honor back, becoming the most feared man of Wasseypur. In contemporary times, the weed addicted grandson, Faizal Khan, wakes up to this vengeance that his family has inherited. Staying true to its real life influences, the film explores this revenge saga through the socio-political dynamic in erstwhile Bihar (North India), in the coal and scrap trade mafia of Wasseypur, through the imprudence of a place obsessed with mainstream 'Bollywood' cinema. 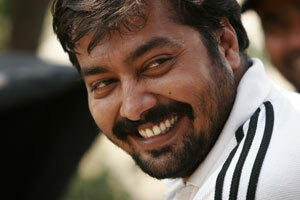 Anurag Kashyap is an Indian film director and screenwriter. As a filmmaker, he is known for Black Friday (2004), a controversial and award-winning Hindi film about the 1993 Bombay bombings, followed by No Smoking (2007), Dev D (2009) and Gulaal (2009). As a screenwriter, he has written the scripts for the Filmfare Award-winning Satya (1998) and the Academy Award-nominated Canadian film Water (2005).